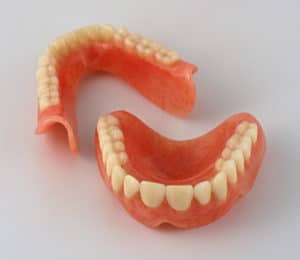 Dentures are a magnificent solution to replace your teeth. As we grow older, we are exposed to lose our teeth. This can cause stress to some people, but it is not the end of having a beautiful smile like the movie stars we see on TV and magazines. We can easily gain a new set of teeth at low cost if we opt for dentures. Especially at Dental Solutions in Los Algodones, we have excellent prices available if you wish to check it out. However aging is not the sole reason why a patient may need dentures. Bad dental hygiene is one of the most common causes of teeth loss. If you don’t keep up taking good care of your teeth they are going to end up rotting and falling apart over time. To stop this I strongly suggest that you bru sh them at least twice a day. To complement this, you should also use dental floss and a good mouthwash after brushing. Pharmacies in Los Algodones are a good place to look for these items. You can find superb deals at there and really good quality items too. Just look that they have the ADA Seal of Approval to make sure you are a taking home with you the best of the best. It all starts at the dental office. The dentist has to first extract all the teeth remaining in the patient’s mouth. But don’t worry, it does not hurt at all, not even one bit. This is thanks to the local anesthesia they provide to the patient to make them comfortable during the procedure. The patient can also be sedated by request. A really wise decision to calm those patients who suffer from nerves and anxiety. After that, the dentist takes a good impression of the mouth of the patient. This is an important step of the process because this is what will create the denture custom made exactly how the patient needs. If the denture comes out wrong it will create great discomfort to the patient and even some pain. This impression serves as a blueprint that the dentist takes to the dental lab to start making the new dentures. As for the material used for denture, acrylic is the way to go. It is the most versatile and lightweight option that can be easily molded to satisfy the patient’s expectations. They are painted to match the patient’s gums and imitate the natural color of real teeth. Dentures can be made between 1 to 3 days in Dental Solutions Los Algodones. After you get your dentures you can smile again. This is easy to do so, but doing other things can get a little tricky. I have heard from many patients in the past that talking, eating can be really hard after getting a new denture. Luckily, all these difficulties can be beating with a little patients and hard work. If you want some tips to adjust faster to dentures I got you covered. Frist of all practice makes perfect. If the problem is getting used to dentures all you have to do is to repeat whatever gives you trouble. A good practice to improve speech is to read the newspaper out loud until you sound like a news anchor. Jokes aside, this really help out. To have an easier time eating I suggest you start taking babies steps. Or I should better said baby food. Take eating slow and start by consuming liquids and soft food like mashed potatoes and soup. Then you can gradually add harder food like bread and meat. But it is important that y ou arm yourself with patience. Last but not least, it is a good idea to take a rest once in a while. Give your mouth a rest from dentures from time to time to not over stress yourself. In no time you will see the results and you won-t notice any difference between dentures and a natural set of teeth.